Here is Charmaine's, My Best Friend Craig, project- their guest bedroom. As her blog name suggests Charmaine is the queen of finding THE best stuff on Craig's list and really anywhere where they sell anything. She has a fab etsy store where she sells her amazing treasures. Here we have Elisa from Fancy Free Me, wanting to update and redo her stairwell. This below is one of her inspiration shots. I can't wait to see what she comes up with. 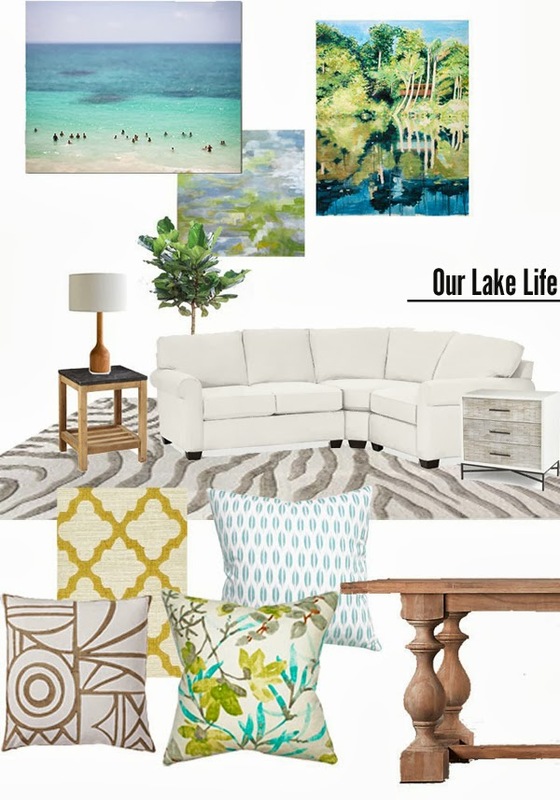 I actually didn't know Maria or her blog, Our lake Life, before this link party but I just loved her inspiration board for her living room. I really love the artwork she chose.....let's see where she takes it. 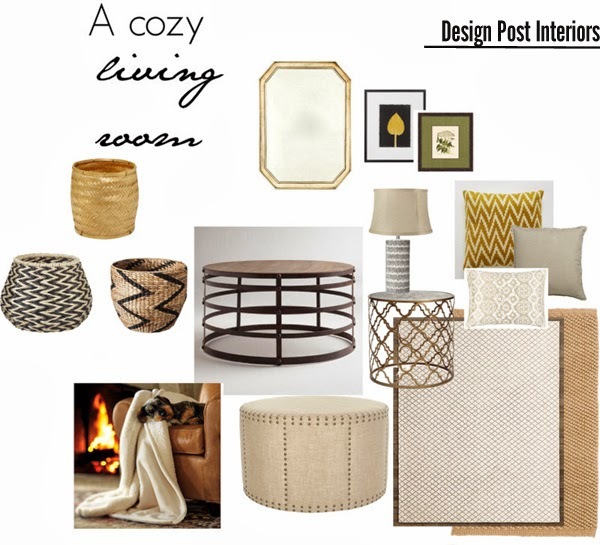 Another knew-to-me blog, Design Post Interiors will be doing a client's living room. I love basket collections so I was intrigued. I like Beth's direction. I adored all of Alison's inspiration images....especially this one below for her little girl's nursery. 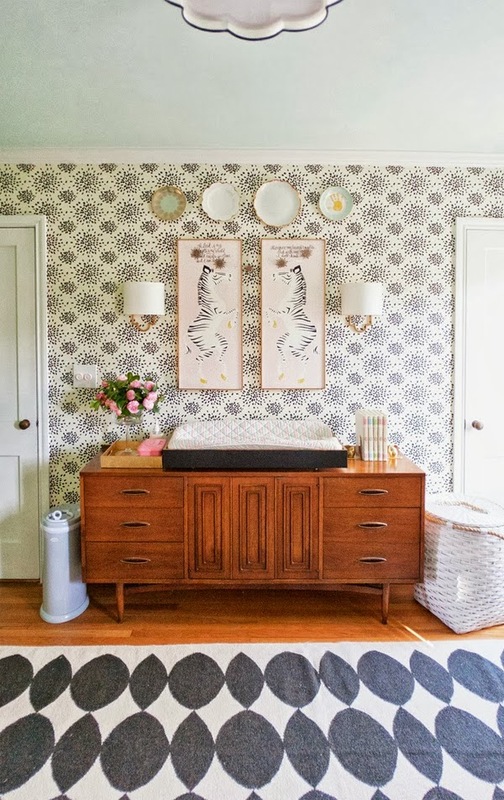 I jsut had to include a nursery in the round-up, because who doesn't love a nursery room reveal? Alison Geise Interiors is also a new-to-me blog. She and her family just moved back to the US from Brazil, I found that kind of exciting and different. And last but definitely not least we have Heather from Vivid Hue Home. I love her style. It is full of color and personality so I know this one will be good. 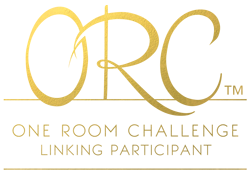 And of course I will be patiently awaiting for every Wednesday to arrive for the next five weeks to keep up with the One Room Challenge makeovers. Of these participants my favorites are The Pink Pagoda (her ORC's are always so good! ), Calling it Home (of course! 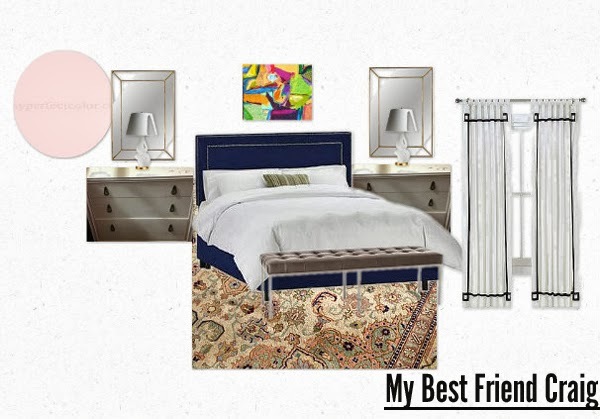 ), The Vault Files (dying over sweet Gaby's bathroom project), Design Manifest, The Little Black Door, Design Addict Mom, Design Crisis (one of my fave new blogs), and Pawley's Island Posh. Who are you rooting for? I feel like there should be a judging panel and a winner and runner-ups and everything. Happy Friday! Have a good one! So so fun!! I can't wait to see all of these inspiration spaces come to life!! Such a great challenge! Have a great weekend! Darn, I was wishing you were announcing that you were participating this year!!! That's a lot of -ings. Sorry. Love all your picks and that we can meet so many new bloggers. And yes, I feel like we need a judge and a top three no? This is fantastic! I also wish you were participating, I would love to see what you would do:) Have a great weekend! Albertina, this was such a nice mention and showcase for some of the link-ups! Thank you. For me, we are all winners. Anyone who finishes should feel good. There have been a few more links since you were there, one of them you already know. It has been great to meet so many new blogs. Have a great weekend. How funny that we used that same photo!! Thank you so much for mentioning me! I'm looking forward to following along with these, too. I'm so glad Linda had this linking idea. I'm having the best time seeing what everybody is doing! 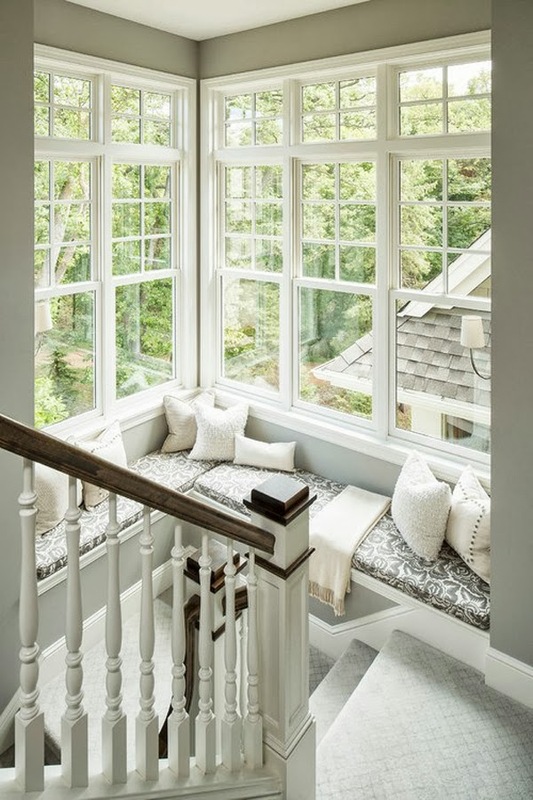 wow - that stairwell is stunning! i can just stay there all day! So looking forward to seeing everyones ORC's, especially Erin at Design Crisis!! I also follow all those room reveals! It's so exciting! I told Linda the ORC is my Oscar's :) Thank you for rooting me on...I am a basket fanatic too. And I just found Design Crisis too and am hooked! Have a great weekend! That's so sweet of you Albertina! Once again, thanks for the shout out. Can't wait to see what everyone else is doing. 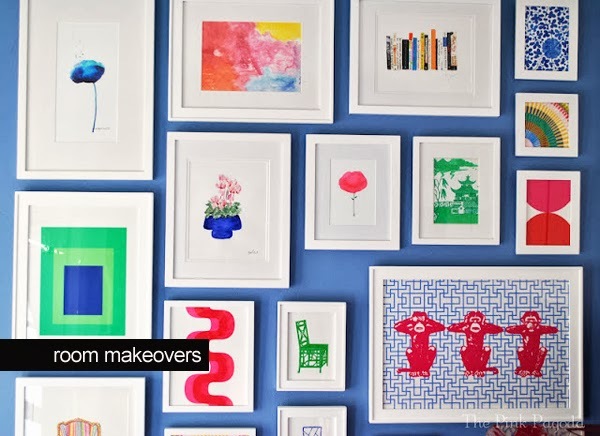 I just added design crisis to my feedly, new to me blog that I love! Hope you're having a great weekend!